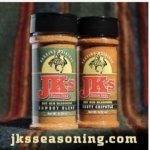 Contact JK’s › JKs Restaurant – Outer Banks Steak, Ribs and Seafood ‹ One taste, and you're coming back. We value your patronage and appreciate your loyalty! !